Hemp oil contains many fatty acids, proteins, vitamins and other nutrients that are beneficial to the health of different parts of the human body? The oil is extracted mainly from the seeds of the industrial hemp plant. Most people easily confuse the hemp plant with marijuana given that the two look alike, and the latter has a worse reputation around the world. In fact, it is classified as a drug and is banned in many countries. While both industrial hemp and marijuana are scientifically classified as cannabis, the former contains only traces of tetrahydrocannabinol (THC), which is the source of marijuana’s psychoactive properties. THC causes the “high” feeling that one gets after consuming marijuana. Industrial hemp is legal in parts of Europe and the United States of America. Its oil is used to produce edibles, supplements, topicals and beauty products. Vapes, tinctures, and capsules are other popular options, and, last but not least, your pets can also enjoy the same benefits of hemp oil. In fact, there are huge plantations that specifically engage in its commercial farming and processing. Hemp oil is used as an ingredient in shampoos, conditioning agents, or oil gels, and including hemp oil in these products has a number of benefits. 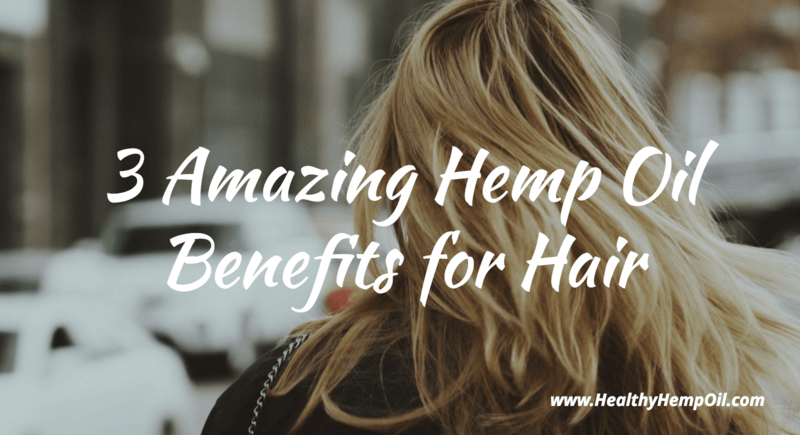 These hemp oil benefits for hair tackle the common issues experienced by many people around the world. Research published by the Journal of Agricultural and Food Chemistry validates the use of hemp oil hair products in different easy-to-use formats for improved wellness (2). Features a gentle cleansing formula. Contains a special blend of hemp seed oil and hemp protein. All-natural formula – optimal blend of virgin hemp seed oil. Sweet orange essential oil fragrance. As the benefits of hemp oil for hair have proven to be such a popular topic, we have put all the core details together in the below infographic!